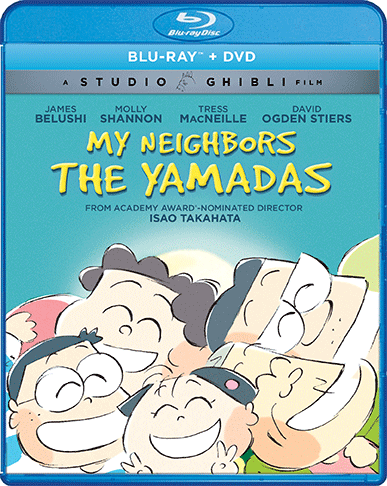 From the legendary Studio Ghibli, creators of Spirited Away, and My Neighbor Totoro, and Academy Award®-nominated* director Isao Takahata, comes a classic comedy for the whole family, now available in high-definition Blu-ray for the first time ever in North America. Join the hilarious adventures of the quirky Yamada family in this wonderfully offbeat celebration of the little and sometimes bigger victories of life. Presented in a series of brilliant comic vignettes, Takashi Yamada and his wacky wife Matsuko navigate their way through the ups and downs of work, marriage, and family life with a sharp-tongued grandmother, a teenage son who wishes he had cooler parents, and a young daughter with an unusually loud voice.